Starnone, an Italian writer from Naples who has worked as a novelist, screenwriter, and journalist, was joined by Jhumpa Lahiri. Lahiri, known for her Pulitzer Prize-winning short story collection, “Interpreter of Maladies,” translated Starnone’s work from Italian into English. Michael Reynolds, editor in chief of Europa Editions, which published Starmone’s novel, moderated the event, and University Dean of the Arts and Humanities Ellen Nerenberg translated Starnone’s comments into English. “Trick,” Starnone’s thirteenth work of fiction, follows aging illustrator Daniele Mallarico as he revisits his native Naples to look after his four-year-old grandson, Mario. Mallarico is struggling with both his professional and his personal life; his artistic career is in decline, and the return to his childhood home brings back unwanted memories of his troubled adolescence. In one passage, which Starnone read aloud in the original Italian and was followed by Lahiri with her English translation, Mallarico grapples with his anger at having a recent set of illustrations harshly criticized by his publisher. He keeps returning to one word: “’a raggia,” or rage. This complex relationship between language, emotion, and meaning was a theme both Lahiri and Starnone kept coming back to over the course of the event. The same concept—that certain ideas exist only within a dialect, which presents a challenge for translators—touches on the raw emotionality that “Trick” indicates is instinctively expressed in one’s native language. As Daniele progresses further into a state of crisis, he regresses into his native dialect. Although Starnone was quick to assert that he was very different from his character, he noted that he certainly brought parts of himself into the protagonist. 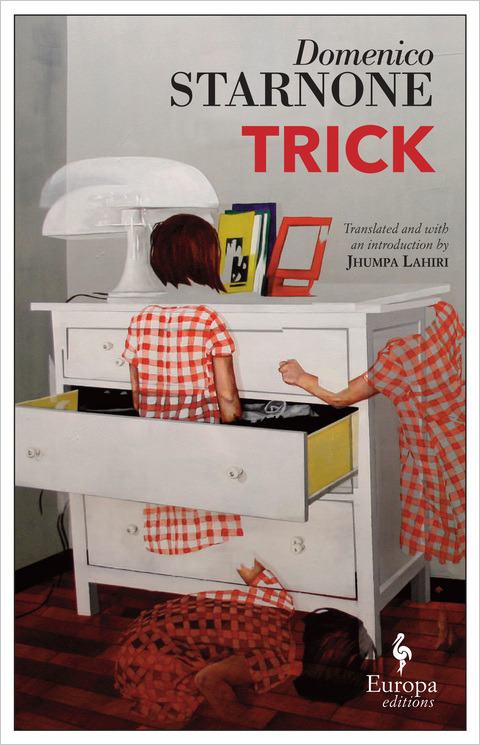 Starnone’s experiences, Lahiri emphasized, are the only ones that have a place in “Trick.” Despite her own accomplished writings, she takes care not to incorporate her own personal style into the author’s works. Starnone and Lahiri each complimented the other for their contributions to the creation of the final work in English. Hannah Reale can be reached at hreale@wesleyan.edu and on Twitter @HannahEReale.